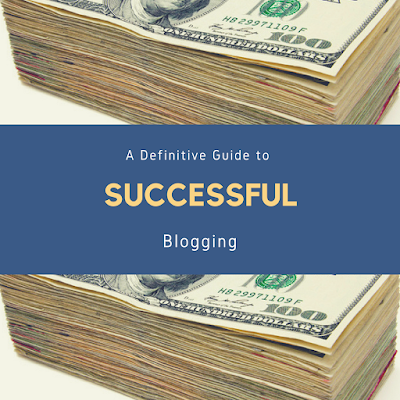 This entry "Tips for Successful Blogging which I also tagged "A Definitive Guide to Starting and Running a Successful Blog is mostly about the blogging all that's needed to start a blog and attaining success from it. A lot of people, after hearing stories of successful bloggers quickly go out there and set up a blog without knowing what it entails to build a blog and make it successful. This post will show you what you need to know before you jump into blogging. To understand what blog is all about and how to create one, you need to know what the term blog mean in the first place, and other terms related to blogging, such as domain,web host, blogging platforms such as Google Blogger or Blogspot, WordPress, and some other terms used in blogging vocabulary. Once you have mastered these key terminology on blogging, you can participate in any conversation about blogging with confidence and talk like a pro in the field. So what does the word blog mean? The word Blog is short for weblog, which simply means a series of online articles published in reverse chronological order. That's all! While most blogs out there are majorly text related blogs, there are however some blogs that are photo blogs and even video blogs. So, now that we've known what blog means the rest of this article will do with the technical side of things, such as domain, web host and a blogging platform. So as defined above that in a blog, contents are published in a reverse chronological order, so you need to a place where you can publish the contents. If you are setting up a blog, you will need a platform, a web host, and a domain. A blogging platform, such as Google blogspot or WordPress is a a web based program that allows you to write posts and to update your contents from time to time. This platform is also what is required to design the look of your blog, from color scheme to font style and font size. The web host is sort of an online or a virtual file cabinet where all of your blog contents are stored. Your computer can only communicates with the host when you you are connected to the internet. To get a hosting account, you need to buy from a company that offers hosting services. There are many companies out there that specialize in web hosting services. A quick search on google or your favorite search engine will reveal tons of them. In my own opinion, of all the companies that are into web hosting, hostgator still remain the best. The domain name, or simply domain, is the online address of your blog. That is, if for instance, you want to visit a particular website, you will need to type the address of the website which looks something like this: www.example.com. This is called the domain name of the site. There are companies that are in charge of registering domain names. They are called domain registrars. You can get a domain name from a web hosting company. If you are in Nigeria reading this, I suggest Whogohost. I've been using them for years and I've not had any issue with them once. Their support system is second to none. Which is the Best Blogging Platform to Use? Having learned about the basic requirements to own a blog, i.e. a domain name and a host account, it is now time to learn about the blogging software or the platform. Of all the different kinds of programs on the web today used for blogging, many people including myself feel WordPress blogging platform is the most advanced and yet the easiest to use. In many ways, this particular program, a Content Management System (CMS, for short) is more adaptable and more versatile than any other blogging software on the World Wide Web. Because of its relatively ease of use, you don’t have to be an accomplished coder or familiar with programming languages like Hyper Text Markup Language (HTML) , Cascading Style Sheet (CSS),and the likes before you can use the platform to create beautiful blogs or even a full-fledged professional website. This is not a post about WordPress per se, but just because of its popularity as a blogging platform, in a short paragraph or two I will show you how WordPress compares with other popular blogging software; its advantages and disadvantages, if at all there’s any. 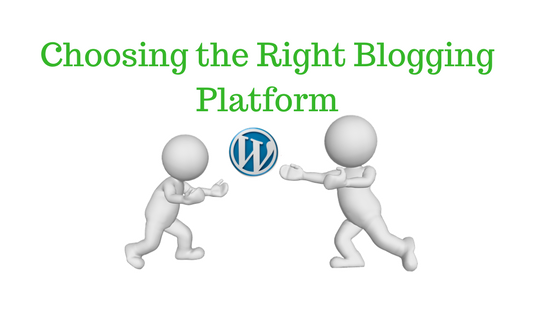 WordPress offers two different platforms to bloggers. There is WordPress.com, which is a free platform where you can register and start creating contents right away without paying a dime. However, this one has limited features. If you want full features where you can customize your blog to your taste, you can go for premium account. With the premium account you will be given about 10GB of storage space, and you can choose to disable ads from showing in your blog. With less than a hundred dollar per year, you can have full access to the premium package. With this you will have a custom domain name which eliminates the “wordpress.com” extension from your web address. The other aspect of WordPress is WordPress.org, which is an open source program that anyone can use at will. By open source, it means a program that is built and can be rebuilt by hundreds or thousands of people. In other words, its code is open for anybody knowledgeable in coding to modify it. With wordpress.org you have access to all the features of the software. You can expand your blog with different plugins, install a custom theme of your choice, and do a whole lot of things with it. WordPress is much easier to use than a lot of other blog design software that may require a little knowledge of coding. One of the things that make WordPress stands out from its competitors is the fact that it allows designers to use a wide variety of programming languages to customize it to their taste. This means that a larger number of coders can realize their dreams of designing different types of websites that are powered by the same program. A program that they are most familiar and in which they are most accomplished. In addition, WordPress has a huge community of developers that are readily available to offer contribution, hundreds of online dedicated forums, millions of plugins to accomplish different tasks or add different functionalities to a website, built-in comment functionality, allowance for multiple users with different administrative roles, multiple sites within one installation, a detailed documentation for any of the components, and last but not the least, WordPress is easily expandable. You can turn your little blog to a full-fledged social network platform or eCommerce website if you choose to. A lot of people have welcomed WordPress blogging software with enthusiasm and with open arms. However, that doesn't mean that the WordPress as a software is right for everybody. There are other free blogging platforms out there that are also great for starting up a blog without spending a dime. One of such, and a very good one for that matter is the Google Blogger or Blog spot, which powers the blog you are reading now. Although it has its limitation, you can still add a whole lot of features that will make it look like a full fledged website, such as creating an eCommerce shopping site. Another good feature of it is that; being a Google platform, with a huge community of users, you can easily get help for any feature you may want to include in your blog. Also it is very easy to rank your blog on the Google search engine, as your content is hosted on the platform. There are other blogging platforms such as Joomla! Which is also a Content Management System, Tumblr, Medium, Ghost, Squarespace, Wix and others.Time will not permit me to write about the features of all them. Here is a useful article I found that give a detailed review of 8 blogging platforms, including the pros and cons of each one. It will help you to decide which one is best for you. 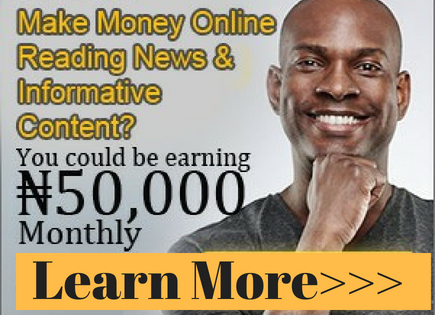 We’ve all seen ads and several information on the internet claiming such things as make money online, work from home, be your own boss and the likes. Despite all of the skeptism about making money online, I’ve discovered that one can really make money online and it doesn’t have to cost you a fortune to do just that. In this lesson I will give you a guideline on how to choose a topic for your blog that can make you a successful blogger. It is important not to feel overwhelmed when learning about the whole process. So I’m going to give you a guideline here. When trying to choose a topic for your blog, it is recommended you pick a topic that you are interested in, and also have a lot of market potential. 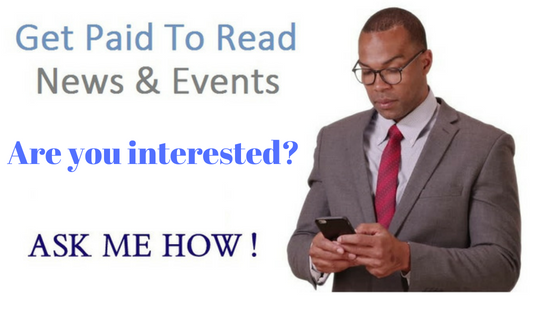 Think of something you like and consider whether there will be a large audience that will be interested in your topic. It will be a futile effort to build a blog around a topic that nobody is interested in. 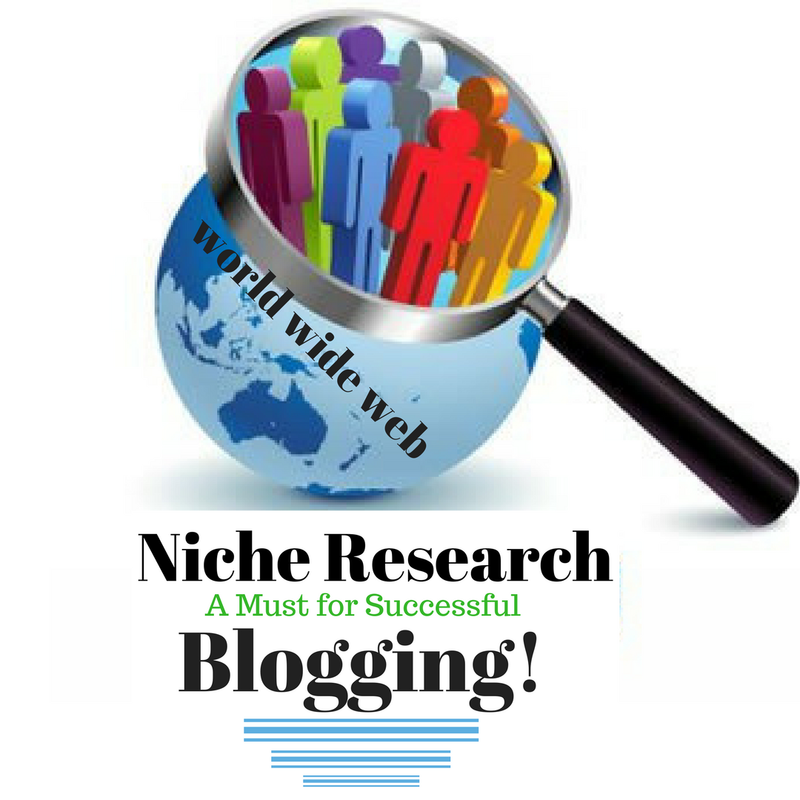 You can find a topic or a niche as it is popularly called with a little research. Niche research is beyond the scope of this article, we will cover that in subsequent entry. The goal of this article is to give you idea on how to choose a niche and not how to research a niche. Because there are so many blogs on the internet today, it can be tough to come up with a topic that’s not already saturated with others already publishing on it. Whether you are starting up a new web site or you are looking to make your existing blogging site more distinctive, the key to building and maintaining a site that will capture the interest and attention of huge community of audience is finding your niche. If you can fill a unique need in a way that no other web site does, you'll be able to build a lasting readership among web surfers. Once you have discovered a niche, you will still have a lot to do, but finding your place in the blogosphere is the place to begin. Every great blogging web site starts with a great idea, and you can't build a successful site that will last without one. There are many great sites aimed at popular and marketable niches, and competition for the attention of audience is fierce. To make your blogging web site stand out from the pack, you will need to offer something that no other site is currently offering if you can come up with such topic, or you will need to do the same thing that an already popular site does but in a more impressive, unique or valuable way in order to beat the competition. One way to discover an ideal model for your blogging website is to look at the sites that have successfully captured an audience already to determine if you can appropriate some of their strategies in a different approach or in a more aggressive way to help realize your vision. Of course, you will also need to add a unique flair to your project in order to stand apart from your competition. Many people agree that the websites that do the best in today's market are the sites that have the most personality. A large percentage of your audience will respond especially strongly to personality, so consider how you can give your site a unique and attractive feeling by lending your own voice and sensibility to your site's topic and all the contents you create around the topic. Once you have a great idea for your site, have pinpointed a special niche that you are well equipped to fill, and have infused the site with personality, the next step is figuring out how to get the word out to your prospective audience. In the long run, a great idea just isn't enough to propel your blog to success. You will need to draft a smart and realistic marketing plan in order to draw readers to your site. Once you hook an audience, your great content will keep them coming back, but it is vital to get that first glance or your site won't have a chance to shine.